Note: Due to the nature of the end links used with this rear bar, Hotchkis Sport Suspension Lower Trailing Arms #1301 must be used (see our other items). The Hotchkis Extreme Sport Rear Sway Bar, is designed to eliminate the hard mounted factory design rear bar, allowing for better suspension articulation in extreme usage vehicles. 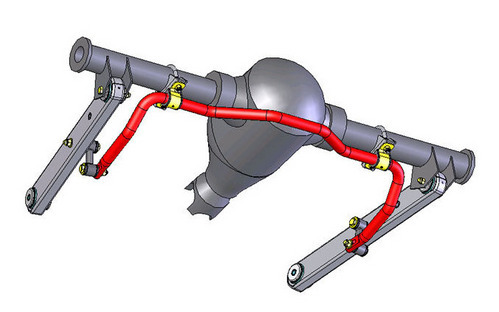 This system allows the rear sway bar to slightly pivot reducing fatigue and stress placed on the sway bar in the factory design. Specs: 1 5/16" Tubular Bar w two stiffness settings. 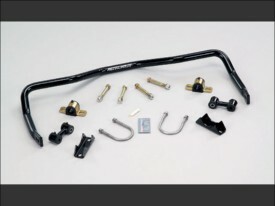 Includes axle mounts, Stainless u-bolts, greasable bushings, and end links.